Porto Montenegro is home to the world’s largest superyacht berth at 250 meters, and the marina’s 450 additional berths all offer an unrivaled range of services and amenities. 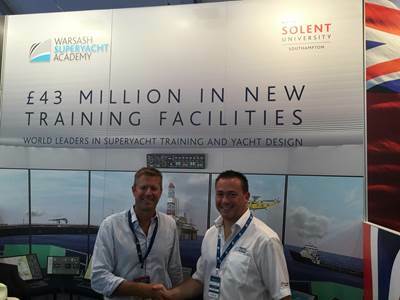 The fusion of world-class training at a world-class destination will make Warsash Superyacht Academy Porto Montenegro a truly incredible experience. Launching with a series of courses this autumn – and aiming to expand to offer WSA’s full portfolio of internationally recognized qualifications for superyacht crew - this new partnership will make training crew even more efficient and convenient.